Casual gaming giant PopCap is throwing its weight behind the BBC's annual charity fundraiser, Children in Need, giving the public a chance to challenge a celebrity and raise some cash at the same time. Think you're a bit of a Zuma whizz? Well you might be able to put that to use for a good cause this month as PopCap is supporting the BBC's Children in Need appeal with the "PopCap Celebrity Play-Offs Tour". 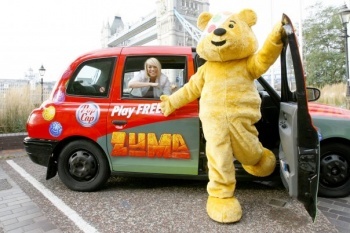 PopCap, along with Welcome Break, are entreating the public to challenge its line up of sport and screen stars to a game of Zuma's Revenge, presumably making a donation to do so, with all the money raised going to help disadvantages young people in the UK. The Celebrity Play-Offs will run from the 25th October to the 1st November and will stop off at Welcome Break locations in Cardiff, Bristol, Birmingham, Keele, Leicester, Sheffield and Huddersfield.